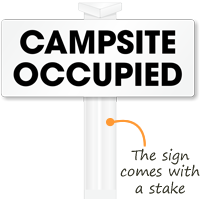 Mark your campsite with this sign when it's occupied. 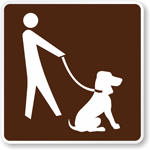 Easystake Sign is easy to install in soil. Made of UV protected high density polyethylene plastic that is lightweight, yet extremely durable. Text and graphics are embedded into the plastic during the production process, offering a greater resistance to scratching and weathering than other generic plastic signs. Signs are fade, crack or break resistant under normal conditions and use. Bolt-on signs offer a mounting hole at the top and bottom center of each sign which allows for easy installation onto any U-post or flat surface with screws. The unique quick clip-on design allows for quick and hassle-free installation onto a T-Post or U-Post. Signs are designed to attach to 1.12lb-1.25lb T-Posts and 1.25lb-1.33lb U-Posts. Stakes are 24" tall and offer a tapered base for easy installation into soil, gravel, dirt, grass, etc. Hanging hooks are featured on all stakes which can be utilized to suspend or display other types of signs. Good quality. Can't wait to use them. 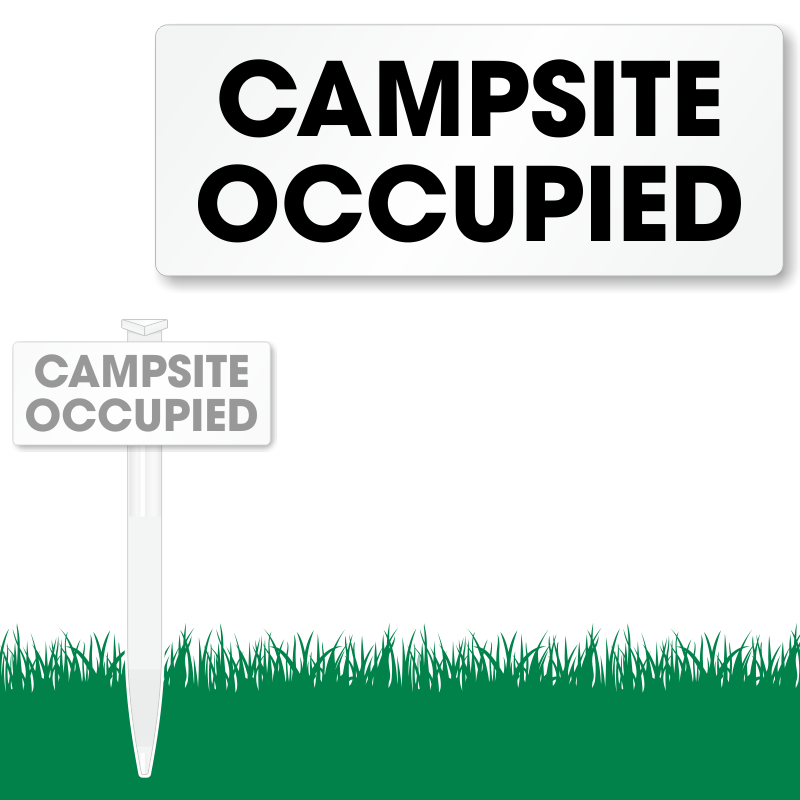 I will be able now to easily mark my campsite as occupied when I need to leave for a while. Great sign! I really like the size, easy to read, doesn't leave anyone guessing what it says. Just what I was looking for! Over the Fourth of July, I left my campsite for a little bit to visit another part of the park, and even though I left things out on the picnic table, and had a clothesline out with a towel and clothes on it, and left a chair out, so many people were asking at the gate if they could have my spot that the campground host came and put a sign on it stating it was occupied. I decided to get my own sign and just nip the whole thing in the bud! This sign will work perfectly! Really nice! I was not expecting this quality for the price.